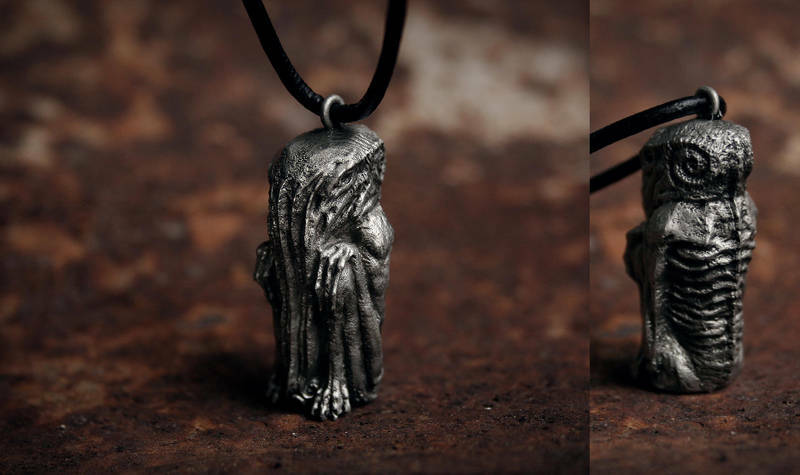 This pewter-finish Cthulhu necklace comes to us from the talented Axel Torvenius. I love this sculpt. That style of face on Cthulhu looks familiar. Like in another sculpt somewhere. Or maybe just a very similar coincidence. Well you can only model an octopus face so many ways.